Valentine's Day is this weekend. This is just a cute little fun idea. 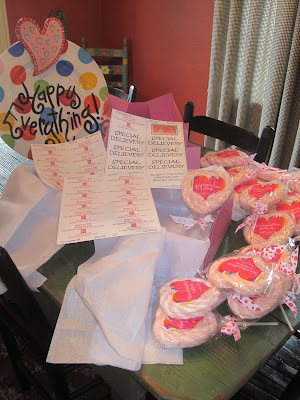 I sent these to my son's class as a "Special Delivery" and Valentine treat. 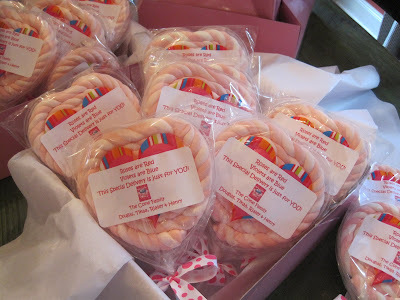 They are Marshmallow heart shaped lollipops, in two shades of pink. CUTE! 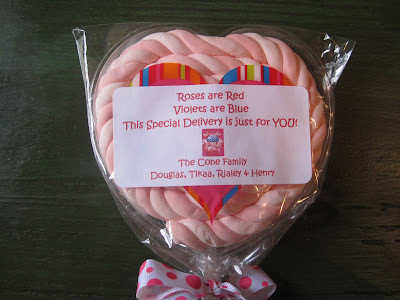 I made a label for each lollipop that read,"Roses are Red, Violets are Blue, This Special Delivery is just for you." Boxed up all together and ready to be sent off to surprise the class (or anyone you want to surprise). Looks fun - RIGHT????? 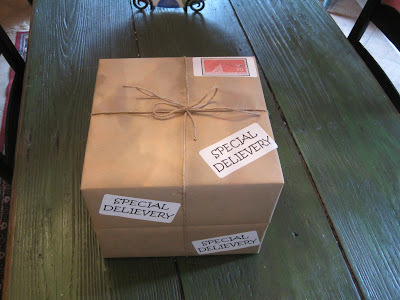 After all the lollipops have labels and are boxed up, I wrapped in brown paper, tied twine around the box and added "Special Delivery" all over the box. Next it was delivered to my sons class. They had a great time getting the package and enjoyed the lollipops. I hope everyone has a Happy Valentine's Day. Too Cute Tikaa.. Where did you get the marshmallow hearts?